Commercial Auto - Commercial auto coverage provides important financial protection and is required under the laws of most states. Commercial General Liability - Small businesses have to be protected against the legal and financial consequences of accidents. Directors and Officers Insurance - D&O coverage protects company leaders against liability claims and safeguards their personal assets. Environmental Insurance - The need for environmental coverage isn’t always apparent, but the insurance can protect small businesses in a variety of industries. Fidelity Bonds - A fidelity bond provides a financial guarantee to protect companies and customers against employee theft or fraud. Key Person Insurance - Key person coverage protects small businesses against the implications of a critical employee dying or becoming disabled. 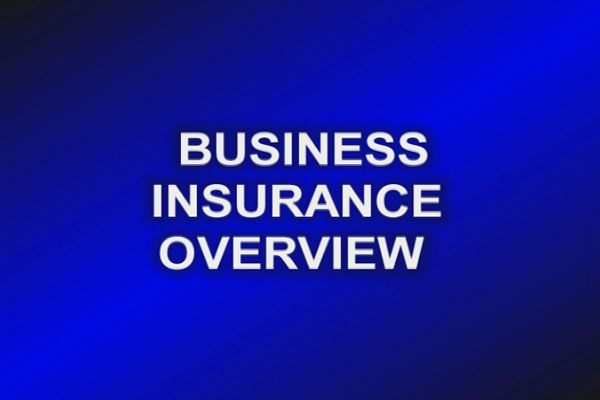 Property Insurance - Effective property insurance is a cornerstone of an effective small business risk management strategy. Protecting Your Small Business with a BOP - Combining property, liability and specialized protection in a package can provide convenience and savings. Workers' Compensation - Workers’ comp coverage protects employees against accident and injuries while also protecting employers from accident-related litigation. Accident Prevention - Workplace accidents can cause large financial, personnel and productivity losses for small businesses. Avoiding Workplace Violence - Every business hopes it’s not affected by workplace violence, but it’s important for business owners to develop prevention and response plans. Fire Safety and Sprinklers - An effective fire prevention strategy blends safe materials handling, workplace design and safety equipment. Preventing Ergonomics Problems - As mobile devices play a larger role in how we work, companies have to adjust their ergonomics practices. Small Business Disaster Recovery - As disaster risk rises, small businesses are adjusting disaster recovery plans to highlight the importance of mobility and cloud computing. Small Business Risk Management - Effective risk management helps companies identify and prevent potential losses.